Ahead of today’s Premier League fixtures, Manchester United have remarkably moved into the top four. Ole Gunnar Solskjaer is working wonders on the pitch, while players are signing contracts off it. However, there is one key man yet to commit to a new deal; David de Gea. 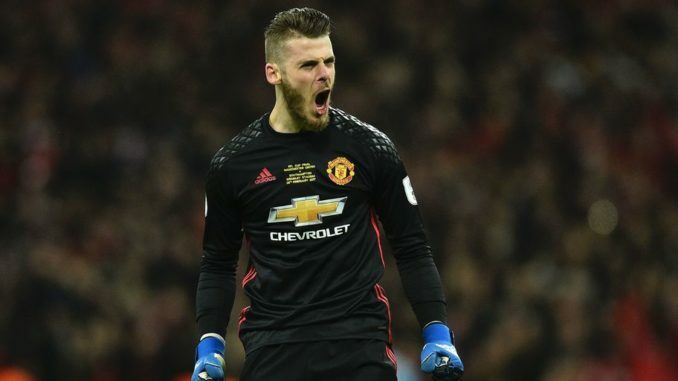 In an exclusive by the Daily Mirror, it is being claimed that the Red Devils #1 is refusing to budge on his contract demands, with the 28-year-old unwilling to commit his long-term future to Old Trafford unless he is paid a huge £350,000-a-week. This would put him second in terms of the highest earners at United, only behind Alexis Sanchez’s £400,000-a-week. If there is anyone that deserves it, though, it’s De Gea. He has been sensational over the last few years and I think it’s now widely accepted that he is the best in the business in between the sticks. Honestly, stop faffing around and just pay him whatever he wants. We’re lucky to have him and we’ve been willing to throw the money around lately, so why not send some in the direction of the man who deserves it most?